Kitchen, Bath, Siding—What Pays Your Back the Most? Will that remodeling project you have in mind pay off? That’s the million dollar question or at least the $78,000 question if you’re thinking of upgrading that dark,dingy, depressing basement or improving your home in another way prior to putting it on the market. 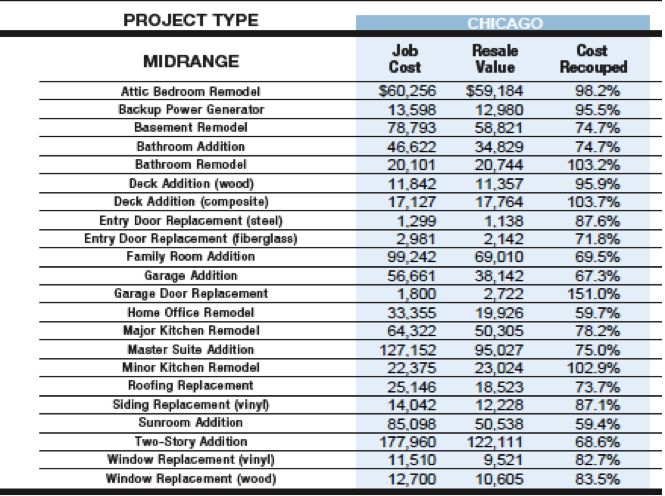 According to the National Federation of Independent Businesses (NFIB) (see chart at end), $78,000 grand is the appraised cost of a basement redo these days BUT, will you get all of that back when it’s time to resell? As the classic, Magic 8-Ball predicts, “Don’t Count on it.” The NFIB reports only about a 74% return on average for that $78,000 investment. Remodeling Magazine online suggests that the exterior of your home is vital. Siding, window and door replacements improve your home's curb appeal—not that you’re parking your home near the curb; it’s just how great your house looks upon first impression. Paint the front door, pull weeds, and trim unkempt shrubbery, which may include a bushy male on the premises. When it comes to resale, roofs are right up there as critically important. Chicago Roofing/remodeling contractor, Mark DeBartolo says, "If the roof is leaking, buyers won't get beyond it. It doesn’t matter how awesome the kitchen is.” Given that, you’d think the ROI for roof repair would be sky high, but our trusted RFIB reports shows roof average roof repair cost is around $25, 146 and ROI is only at 73.7%. The chart indicates you'll recoup 98.2% (almost the whole magilla) when turning the attic into a bedroom. However, this also ranks as one of the most expensive projects, averaging $60,1256." 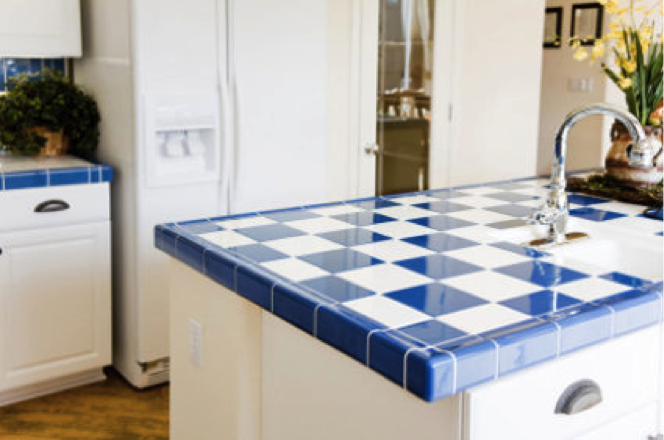 Kitchen remodeling appears to hit the jackpot with a whopping 102.9% return on your investment—YOU MAKE MONEY! Again according to the NFIB, fixing up your bathroom is also great idea, helping you once again to ring the ca-ching bell and earn a return of 103%. But Remodeling Magazine notes that, “you’ve got to do it right and think about a master bathroom with two sinks, custom showers, and great lighting. Also consider bumping out the size of a bathroom. Contractor, DeBartolo adds that new paint, a new toilet, a new shower faucet, and a new shower head will give you a good payback for your buck. Here’s the very cool National Bureau of Independent Business’ (NBIB )“Cost Versus Value” graph which says it all and may be a picture worth the 680 words in this article.